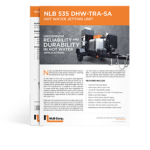 There is no other producer of high pressure water jetting pumps that can offer the depth and breadth of selection to meet your needs as NLB. NLB diesel units are offered in both the dedicated Ultra High-Pressure, and the newest, convertible units offering different pressure and flows from 280 bar to 2800 bar with a simple conversion kit (available separately). 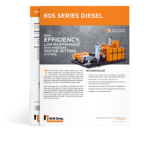 Robust triplex and quintuplex pump designs operate at low RPM to minimize wear and simplify maintenance and have a 97% operating efficiency. 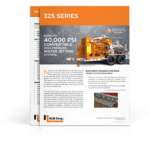 If your needs dictate that you need low carbon-producing Tier 4 Final engines, NLB has the most experience with these system requirements having made the switch to Tier 4 engines well before other water jet unit manufacturers. 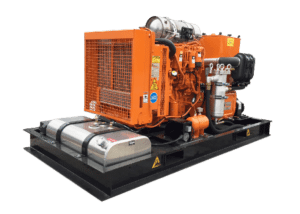 Customizing of your new NLB unit to meet your specific needs is always available. 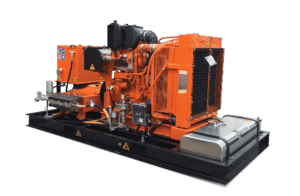 If you thought NLB expertise was only applied to high-pressure jetting, thing again. 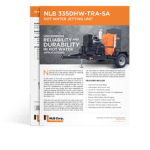 Our newest diesel offering, the 335 and 535 Diesel Hot Water Pressure Washing Units give you contractor grade power and NLB proven reliability and durability not normally found in pressure washing units. 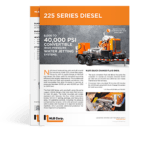 From trailer hitch to throttle, these units set the industry standard for reliability.